Randal Froebelius has seen a lot of the country while visiting each of the 11 local chapters in his first few months as Building Owners and Managers Association (BOMA) Canada chair. The cross-country tour was to gather information for a board of directors meeting later this month where a new strategic plan will be created to replace the one Froebelius said was instituted around the time BOMA Canada moved its headquarters from Ottawa to Toronto in 2007. Continuing to grow and improve the BOMA BESt environmental certification process for buildings is also of primary importance, and Froebelius cited the recent additions of a healthcare module and a portfolio-based application as indicators of the progress being made. That latter program introduces centralized verification that will allow owners and managers to certify multiple properties with fees apportioned on a square-foot basis across the portfolio. The system is expected to reach more light industrial and open-air retail properties and will largely rely on portfolio managers ensuring all buildings match what’s been reported. Verifiers will examine portfolio-wide documentation and conduct an annual on-site sampling verification program. BOMA BESt certifications also play a role in the association’s awards programs, which Froebelius would like to continue to strengthen for building owners and managers. Increasing BOMA membership at the local level is important and Froebelius said there’s a particular need to get more young people involved in property management, especially those who choose it as a career from the outset and don’t just stumble into it like has often been the case in the past. A step in the right direction is BOMA’s Toronto and Calgary branches establishing a young professionals membership category for people 35 and under who can take advantage of discounted fees and mentorship opportunities. 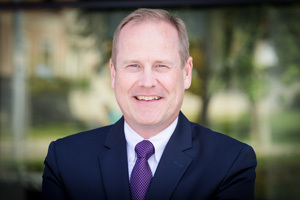 Froebelius is the founder and president of Equity ICI Real Estate Services Inc. and has more than 25 years of experience in property management, leasing, project management and construction. He was chair of BOMA Toronto before accepting the chair position at the 71-year-old national association and has prior experience dealing with BOMA International and its 108 local affiliates, including 91 in the United States. There is a “very strong bond” with the international association and Canada has played and will continue to play a leading role within it, he said. * Benjamin Shinewald, BOMA Canada, Toronto.